Morgan Freeman recently recounted a personal experience he once had many years ago that recalls Joseph Smith’s First Vision. This was part of an episode of National Geographic’s television documentary series The Story of God. 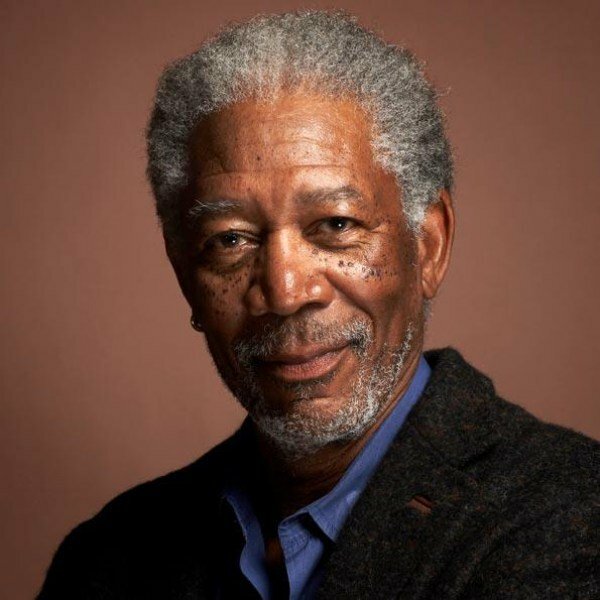 Yes, that Morgan Freeman, the celebrity actor, producer, and narrator. He recently recounted a personal experience he once had many years ago that recalls Joseph Smith’s First Vision. This was part of an episode of National Geographic’s television documentary series The Story of God, which he hosted. This multi-part series is full of intriguing ideas about God, an exploration of various cultures and religions’ understanding of what God is, and topics related to God such as the creation, apocalypse, miracles, and evil. The episodes are available for watching on YouTube. David’s incredible story reminds me of an experience I had many years ago. I have seen a light, not in a near death experience, I was just passing out. And, what I perceived was the tiniest beam of light that to me was the final form of life. It just occurred to me, “Holy Cow!! There it is! There is the light that everybody talks about!” But it is a common theme among people who say they have had a near-death experience, or an out of body experience. What they see is a light. Some people have seen Jesus in this light. Other people just see a bright light. I think there is a lot of deep wisdom in that statement, and I agree with it. I don’t think we “invented God” in the sense of making God up out of whole cloth, but rather humanity created an intellectual concept and symbolic word-term “God” to attempt to label and categorize a fundamentally human experience and human condition that applies to all human beings and all of life and the universe, but which often transcends our human mind’s intellectual abilities to conceptualize and describe logically (which is why it is often called ineffable). I think this finds harmony with some of the deepest Mormon understandings (“you have got to learn how to be gods yourselves”), and even Christianity at large (see theosis, deification, divinization, divine nature, etc.). We are all learning what it means to “be gods” ourselves, even that which we already are, but we may struggle to know this in our default mind and typical state of egoic self-aware consciousness. Our typical logical rational left-hemispheric-dominant Westernized mind cannot comprehend God, and so it often rejects God, or it looks for God outside itself. It often takes a radical ordeal that affects one’s mind, strenuous spiritual exercises, an externally provoked change in consciousness, or intensive contemplative practice of some kind that shifts our state of consciousness in order to perceive it with other less dominant parts of our mind/brain—not rationally, but intuitively. Many come to perceive, in that altered state of consciousness, that they are not separate from that being humanity has labelled as God, but are one in God. They are as much a manifestation of God, in God, as God, as anything and everything else in the cosmos. Indeed, they are God, and one with all things. But this is often not at all acceptable to the rational mind afterwards, nor to the larger society that calls it extreme hubris and utter blasphemy and sacrilege (which is why many prophet-mystics are hunted down and executed), and so it is often softened, watered down, and extracted from one’s own being when one attempts to describe it later, either consciously or unconsciously. A human person logically cannot “be God,” or so we think, and so God becomes an external being in our attempts at rational descriptions, analyses, symbols, stories, allegories, scriptures, etc. We only see hints of its true reality here and there (becoming much more explicit in the mystical religious/spiritual traditions). The only God that we can find and perceive and know directly as such, I believe, is the one that can be found in the very center and heart of our own Self and Being and Consciousness. That is where God is. That is where God lives. That is God, in humanity. And when we perceive it fully in our own consciousness, we recognize it as fundamentally at-one with the whole of all Life and the Cosmos as well. We are, in our absolute essence, Life and the Universe. I perceive that God is not at variance with our scientific studies of the universe. For I believe God is the universe, and we are shockingly part of this universe too, and we can actually come to perceive this truth directly in our own consciousness. The necessity of coming to know God only by perceiving it within consciousness is often where God/religion comes into conflict with science/secular society. Science often requires empirical objective observations, observations that can be viewed by all people everywhere at any time, in consensus, and can be studied entirely outside any subjectivity whatsoever. But God is necessarily and fundamentally a subjective observation within human consciousness itself. That is the only place where God can be known as such. Next postIs God a Person?